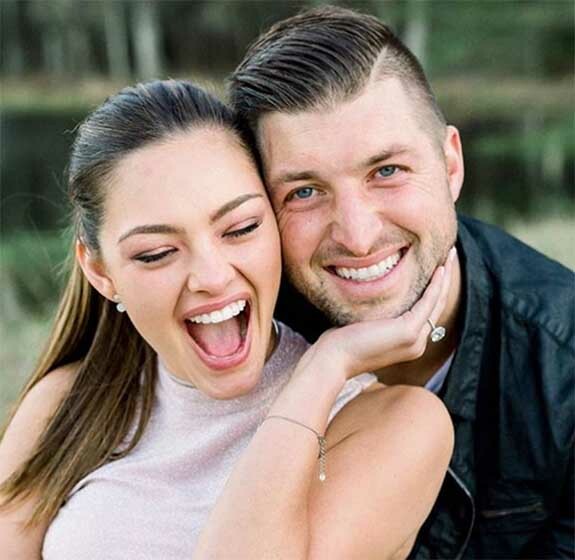 Sports star (football and baseball) Tim Tebow recently popped the question to 2017 Miss Universe Demi-Leigh Nel-Peters with a 7.25-carat diamond solitaire engagement ring at his family's farm in Jacksonville, Fla., this past Wednesday. He reportedly got down on one knee and declared, "This ring is internally flawless… just like you." According to People magazine, the 31 year old former NFL quarterback (who was with the Eagles organization for about a minute) and current New York Mets farmhand toured the picturesque property with the 23 year old former Miss South Africa, eventually leading her to a bench near the lake. Engraved on the bench was the date they first met. 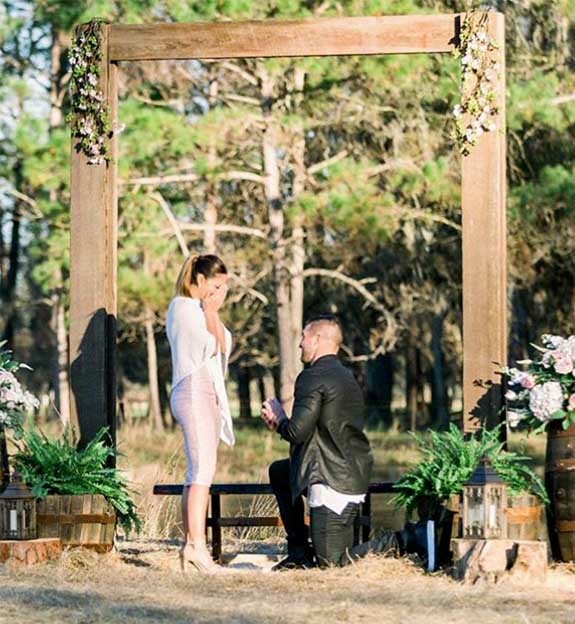 After Nel-Peters said, "Yes," and Tebow placed the diamond engagement ring on her finger, South African singer-songwriter Matthew Mole stepped out from behind a hay bale to serenade them with a live rendition of Nel-Peters' favorite tune, "The Wedding Song." Ritani vice president Josh Marion told HollywoodLife.com that the ring features a classic ideal cut round brilliant diamond in an elegant platinum setting. He placed the value of the ring at $600,000 to $700,000. 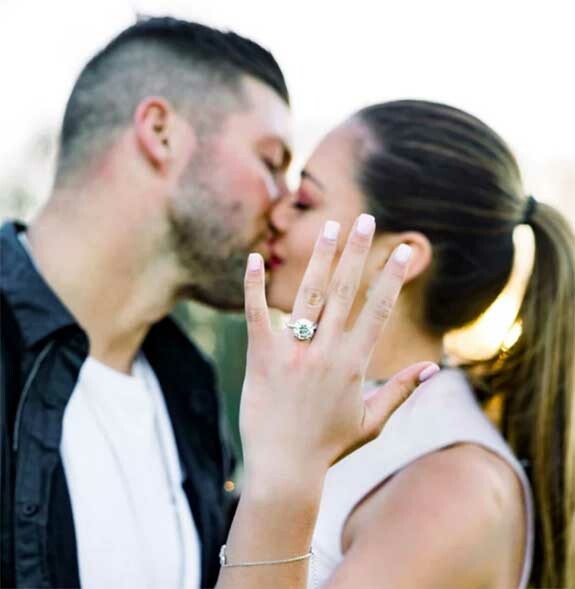 Tebow purchased the diamond engagement ring a month prior to proposing, from a broker who flew into Jacksonville with several different diamonds for him to choose from.